"Go be boring somewhere else." 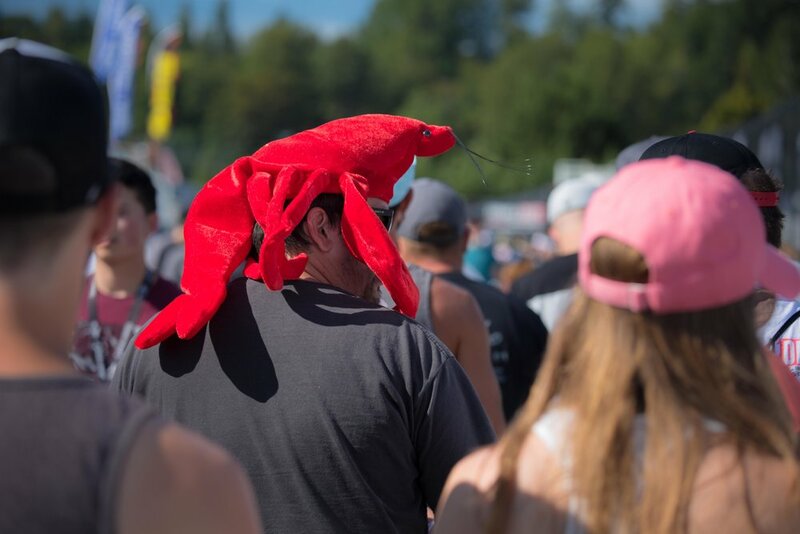 One of the best comments I recently overheard about Formula Drift was: “Why would you go to an event like this to smell burnt rubber?” To which another person replied: “Go be boring somewhere else.” This is Formula Drift in a nutshell. 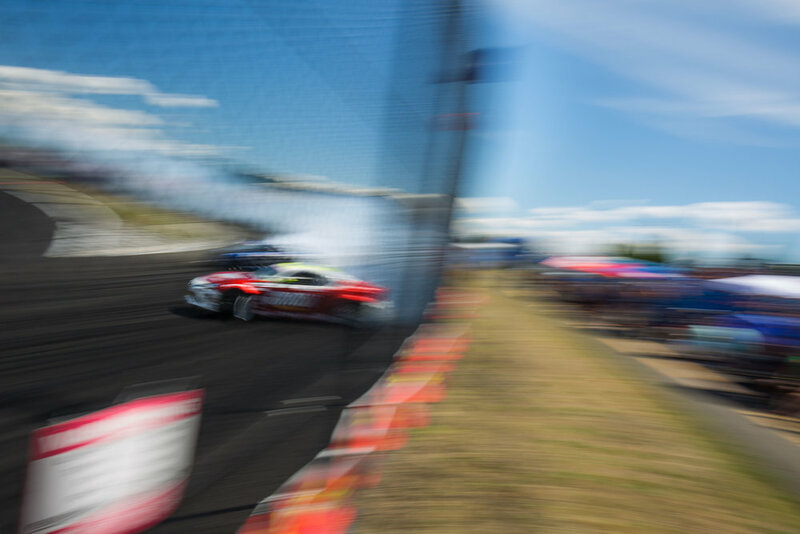 If it were a traditional American sport, Formula Drift would be a football game, whereas Formula One would be golf. One emphasizes quiet precision, calculated strategy, and exudes an air of high class nobility. The other grabs you by the scruff of the neck shoving you into a pool of cloud-forming tire smoke, screaming engine noise, and sinus-burning fuel smell. 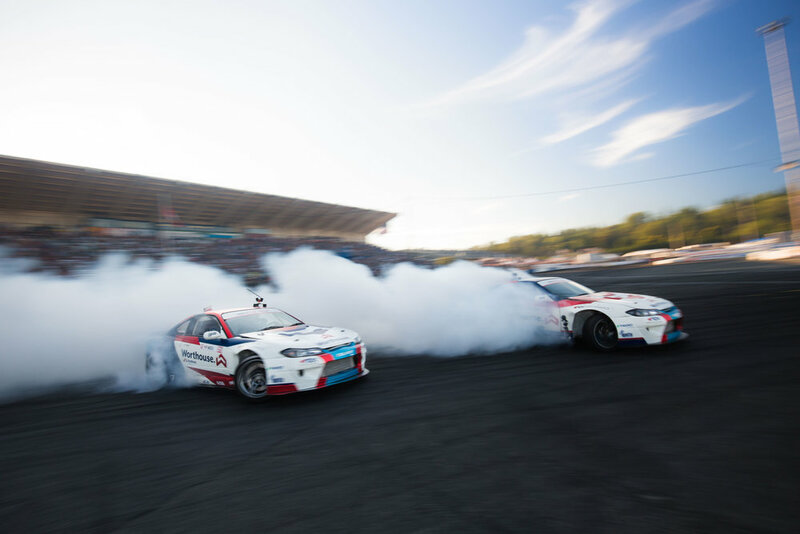 Formula Drift might not be everyone’s cup of motorsports tea but there’s no denying it’s a complete celebration of everything that appeals to someone with the mental age of a 9-year-old. Which, to quote Jeremy Clarkson, is every petrolhead on the planet. 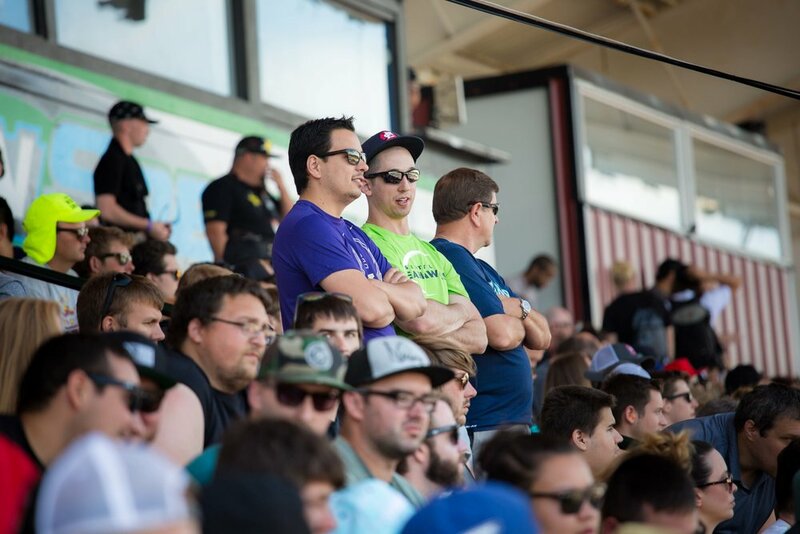 Formula Drift has been coming to Evergreen Speedway in Monroe, WA since 2006 making it one of the oldest tracks on the FD lineup. It shows. The main event runs like a well-oiled machine and the fans always come out in droves to watch the drivers attack one of the most intimidating and longest banks in the series. When they first walked into the event, attendees were greeted by a car show hosted by AutoCon. There was no particular theme for this car show. Everything from RX7’s, S2000’s, WRX’s, Skylines and more. Even a bone stock Datsun 510 was in attendance to break up the modified rows. After making their way through the car show, spectators can meander into the open pits. This is personally one of my favorite aspects of Formula Drift. Fans get up close and personal with their favorite cars or drivers. The pits are like walking into a college party. It’s extremely loud. It smells like a sweaty frat house thanks to all the race fuel spewed from the revving engines. There are people walking away with discarded bits of car: bumpers, taillights, shredded tires. Vendors ogle people as they walk by hoping to attract sales. Random music blasts throughout the space, from modern trap music to retro Michael Jackson beats. Some of the bigger pits like Ford and Toyota have gaming stations for fans to race and drift with one another. There’s even a little girl cruising like a high roller through the crowd in her Lamborghini Aventador electric toy car. It’s sensory overload of the best kind. The event officially began when Top 32 practice started. The grid is a mixture of drivers laughing with each other, stoic crews watching their driver practice on track, and media hustling to get the shot and trying not to be run over by all the commotion. Walking through the grid, Dirk Stratton caught my attention. Unlike the other drivers waiting quietly in their cars concentrating on their run, he was playing the radio over his car’s speakers. I was surprised his drift Corvette still had speakers and I enjoyed his nonchalant approach to waiting on the grid. Practice went off without a hitch. Notably the Ferrari of Federico Sceriffo looked uncomfortable on track. It sounded amazing as you’d expect from a Ferrari, but I could tell this FD rookie was still figuring out this track. Dirk Stratton was chasing electrical gremlins all morning eventually having to be towed off track because his car shut off on him mid run. I was impressed by the confidence of the Mustangs. Their ability to turn on massive angle at times seemed like witchcraft. DeNofa in particular had a moment on the bank where he was cruising around the bank at say 45 degrees then instantly turned it up to 80+ degrees at the end. And he held onto it! The Top 32 battles began without a battle, ironically. Top qualifier, Piotr Wiecek, showcased his prowess during his opening bye run. After that, ‘Rad’ Dan Burkett and Ken Gushi had an impactful battle. Gushi led first in his Toyota GT86, followed by Burkett in his Supra. Both looked confident on the bank. However, coming off the bank, Gushi was tracking wide to fill the outer clipping zone, while Burkett was on a much tighter line. This meant he was going faster than Gushi, ultimately leading to contact being made. Burkett hit Gushi with so much force that it made his car bunny hop. The crowd erupted over this! The judges deemed Burkett at fault. After a brief time out and repair, the two run the second half of their battle, and Gushi easily took the win. Chris Forsberg looked strong all weekend during practice. But lady luck was not to be on his side. During his run with Matt Coffman, Forsberg’s engine shut off on him on the bank, nearly causing a collision. They flipped positions and again the engine shut off. A disappointing end for Forsberg, who looked like he was really finding his groove with the newly developed car. My favorite of the Top 32 battles was between Jhonnattan Castro and Cameron Moore. These two were an absolutely pleasure to watch. Their BRZ/FRS cars seemed evenly matched and looked almost happy charging through the course (think of how a Miata always looks happy no matter what it’s doing). I firmly believe Castro has some of the best follow runs in the series. He is one the drivers that consistently puts his car right on the lead car’s door regardless of who it is. Bumping them and laying the pressure on like a gorilla pounding its chest challenging the other alpha male. It generates so much energy in the crowd. Moore and Castro were so evenly matched they ended up doing 2 One More Time battles. On the second OMT battle, both spun out in the follow run. Since Formula Drift won’t do 3 OMT, they nullified the follow runs and judged off the lead runs. Ultimately, Moore had the better lead run secured the win. Opening ceremonies went quickly and then the Top 16 battles began. The battles got off to a rowdy start with the ‘Ready to Rowdy’ Chelsea DeNofa taking on Alex Heilbrunn. The purple fury of DeNofa’s Mustang is a huge crowd pleaser. The stands shook with the energy of an earthquake when he stuck it right on Heilbrunn’s door during the power alley section of the track. Closer than any follower had previously done in that section. Heilbrunn got the win as DeNofa went 3 wheels off track during his lead run. Fredric Aasbo and Matt Field did battle. They contacted each other just before getting into the power alley causing both to spin out. Breaking with tradition, the judges found Aasbo at fault for the contact which meant Field got the win. Whenever you have two Mustangs competing on track, shenanigans are bound to happen. ‘JTP’ Justin Pawlak and ‘Professional Fun-Haver’ Vaughn Gittin Jr. piloted their Mustangs through the course like two bucking stallions. Drama occurred when Gittin found himself with a steering issue causing him to bump into Pawlak on the final clipping point. This caused him to veer off track and almost run head on into one of the big Formula Drift banners meant for TV coverage. JTP advanced when Gittin was found at fault. Top 16 ended with style and charisma as Dai Yoshihara and Ryan Tuerck took to the course. In particular, I loved the way these two cars sounded together. Being just on the other side of the media K-rail blocks, my ears were blasted by Yoshihara’s LS-powered BRZ snarling as Tuerck’s 2JZ powered GT86 pops and screams. When my ears had recovered after their OMT battle, I remember hearing Tuerck cheering loudly from his car as he drove off track to the pits. The judges hadn’t even revealed their decision yet but you could hear he was stoked on those runs from half way across the track. Tuerck did get the win. The Top 8 were mostly standard but ended with what looked like a glitch in the Matrix. The Worthouse Drift teammates, Piotr Wiecek and James Deane, did battle in their nearly identical drift cars. These teammates have taken the series by storm. Drifting together, they exude confidence in each other like I’ve never seen. It’s like the moment in Initial D when Takumi’s 86 and Keisuke’s RX7 shine with glowing winged aura. The crowd erupted with volcanic excitement as Wiecek gave one of the most impressive follow runs of the event. Deane’s robotic lead precision allowed Wiecek to drive with wild aggression leaving tire marks on Deane’s door for the entirety of the bank. He was literally knocking on Deane’s door letting him know his throne is not safe. When the smoke settled, it was Deane that got the win. Wiecek had dropped 2 wheels off track during his lead run coming off the bank into the power alley. Since Wiecek had qualified first, he was automatically given third place overall. As the warm golden glow of sunset cast across the track, the final battle had the stands on their feet. Ryan Tuerck is one of the biggest names in drift and yet ironically hasn’t won that much. Tuerck hadn’t won since 2015 and his last podium was at Long Beach in 2017. With him being in the final against Deane, the anticipation was astronomical. Coming into this final, Deane was looking to defend his overall points lead in the championship. I’m sure a couple other drivers hoped to see Tuerck win to upset the points standings a bit. Deane drove practically the same winning lead run he had done all day. Tuerck did a stellar job of keeping up. From my vantage point on track, Tuerck looked like he maintained a better follow run with closer proximity than Deane. With two clean runs, a winner was decided. The judges awarded Deane the victory because of his better proximity to the Touch and Go clipping point in the power alley during his lead run. Both drivers were stoked regardless of the results, cheering and congratulating each other after the announcement. Most of the crowd cheered like the gathering of Pride Rock, but there were a few dissenters calling out that Tuerck was robbed and the game was rigged. Tuerck smiled and laughed them off as you could clearly tell, that to him, second place was a win for him after being away from the podium for so long. His excitement was infectious. Most of the media gathered had smiles on their faces and their cameras pointed at Tuerck even though Deane was the winner. After the celebratory donuts were spun and the podium champagne was sprayed, a crisp calm came across the venue. Teams slowly packed up their pits. Crews were already removing the blocks that marked the course on track. Sunburned fans were shuffling out of the venue laughing and recounting moments from the day. Many carried worn tires or other souvenirs from their favorite drivers. It was as though everyone had a runner’s high. We were all extremely exhausted but energetic and happy. From a media person’s perspective, I cannot tell you if the judges’ calls were right at the end of the day. I can only share with you of the great moments in time I saw through my camera’s viewfinder. It’s quite paradoxical that being on track for media can be the best seats and the worst seats in the house. It’s hard to take in the runs as a whole while your senses are being assaulted and your view limited through a viewfinder. However, as media you get to experience an extra level of visceral immersion. The tire debris pelting your face and camera. The tire smoke temporarily suffocating you. The tornado of wind and wall of noise blasting against you as these monstrous machines drift passed just inches from the end of your camera lens. I hope that my photographs translate some of this celebration of sideways speed. 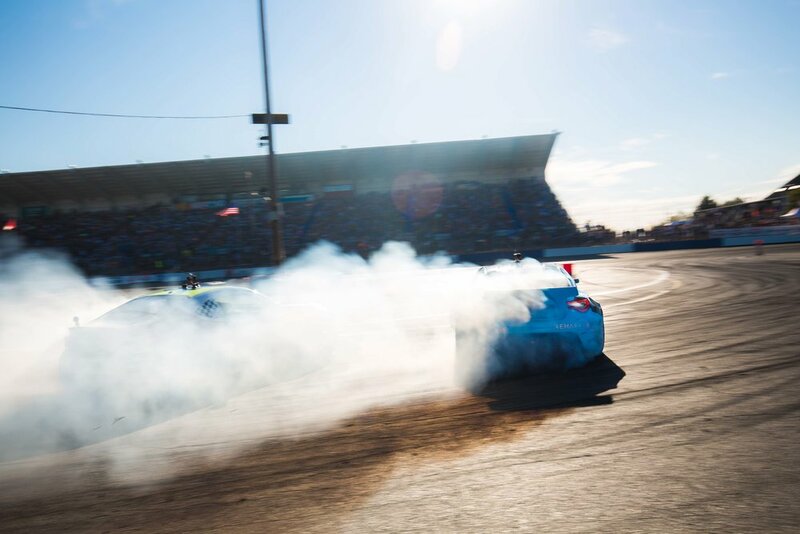 At the end of the day, Formula Drift, much like the theater of the American football game, is rarely about who wins or loses but about the spectacle of turning our most childish petrolhead’s fantasies into reality.